One of fall's special treats in Northeast Ohio is the proliferation of clambakes—at restaurants, at special events, and at friends homes. An Ohio clambake is a little different than a typical New England Clambake. In Ohio, you take everything and steam it together in one big pot. And in Ohio, the clams are not local—they are shipped in from the east coast. This steamy mixture usually includes clams, perhaps a half-chicken, ears of corn, and white or sweet potatoes. Serve this hearty mixture with fresh rolls slathered with butter and a side of creamy coleslaw and you have a typical area clambake. You can go to a restaurant for a clambake or put together your own. If you are in northern Ohio, here are some places you might find a good clambake to warm you up in the chilly fall weather. Order your clambake per person with a range of ingredients. Pick it up cooked or steam it yourself at home. Brennan's Catering: The ready-to-serve clambake includes littleneck clams, baked chicken, choice of potatoes, corn on the cob, choice of salad, rolls and butter, clam broth, and place setting. Euclid Fish: This grocer offers a variety of clambake specials as well as recipes and fun facts on their website. You can even shop online. Farmhouse Foods: You can select from fresh topneck, littleneck, or cherrystone clams with snow crab, king crab, lobster, steak, or chicken. Available for catering or pick up. Hall's Quality Meat Market: This market sells a complete clambake with clams, chicken, rolls, butter, and yams. You can even rent clam steamers. Lobster Bros Seafood: You can purchase your clambake a la carte or as a whole bake. They feature cold water middleneck clams shipped in daily from Rhode Island. Since clambakes are seasonal, restaurants feature their particular take on the Cleveland clambake each fall. Don's Lighthouse: Menus vary from year to year but in 2018, Don's offered a lobster bake for $43 and a clambake (with 1/2 roasted chicken) for $30 per person. 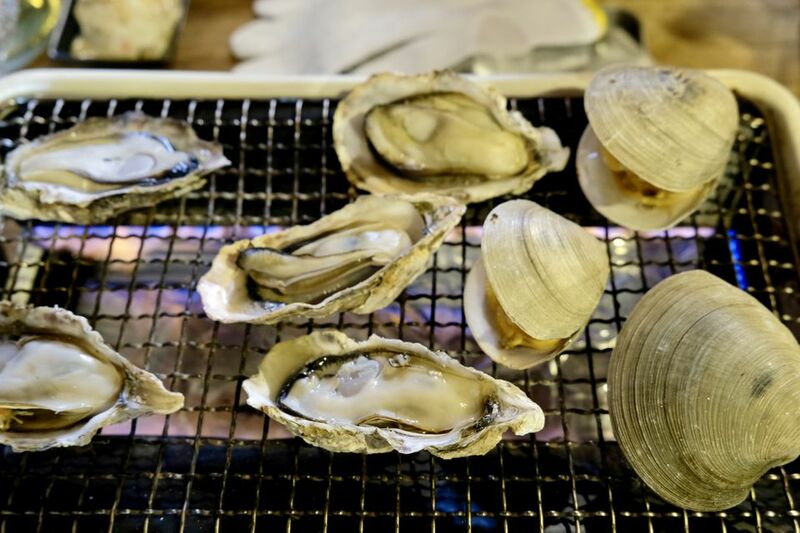 Pickle Bill's: Year-round you can look for steamed clams on the menu as well as a host of seafood specialties. Clambake offerings are seasonal. Tick-Tock Tavern: They offer a seasonal clambake including chicken, clams, mussels, corn, chowder, sweet potato, and coleslaw or salad. Debonne Vineyards: They usually offer a steak or clambake, including clams or steak, 1/2 chicken, clam chowder, sweet potatoes, red skins, salads, and corn. Winking Lizard: They offer a Clambake Weekend event. Mavis Winkles Irish Pub: The pub chain offers a seasonal clambake which usually includes 1/2 chicken, clams, corn, sweet potato, cinnamon butter, and broth. As fall approaches, clambake events pop up as fun events to attend and charity fundraisers. In 2018, the Ohio Wine Producers Association threw a clambake in Madison, Ohio at Grand River Cellars. Their bake included 1 dozen clams, 1/2 chicken, sweet potatoes, coleslaw, corn, chowder, and a dinner roll. At Put-In-Bay, the volunteer fire department will have a fundraiser clambake on September 15-16, 2019. Tickets for the annual clambake are $25 and can be ordered in advance. The clambake includes a dozen clams, 1/2 BBQ chicken, potato, corn, vegetables, and fresh fruit. Proceeds are used to purchased equipment for the Put-in-Bay Volunteer Fire Department.